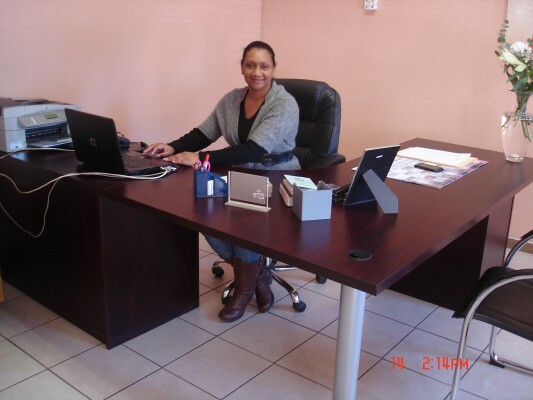 Funding from Anglo American’s enterprise development arm, Zimele has empowered a female owner of an electric motor repair business to make a real difference to the Springbok community in the Northern Cape. Earlier this year, Lucille Januarie, founder of Gencharges Rewinders CC, secured a R470 000 loan from Zimele which covered machinery costs and provided working capital for a five year contract with a local mine. Gencharges Rewinders’ target market encompasses the whole Springbok community, including municipalities and surrounding communities in the Northern Cape. The company, which was founded in 2003, provides a range of services including industrial site work, fault finding, motor rewinds and repairs, pump refurbishment and spares, machinery repairs and maintenance. Januarie says that Zimele’s support has proved crucial to her business ambitions. “As a woman, it is always challenging to start a technical business, as many people do not take you seriously and are reluctant to offer financial assistance. Besides financial assistance, Januarie notes that Zimele has also offered business advice, which has proved crucial in the establishment of long-term business relationships for Gencharges Rewinders. As a result, she adds, the company is well on its way to becoming an established and respected business in South Africa. Januarie notes that the company has built up a good reputation over the years, by working according to high standards, and ensuring that it maintains large quantities of specialist products. Acting managing director of Zimele, Dr Lia Vangelatos, concludes that Gencharges Rewinders’ progress is a prime example of the positive results that Zimele is producing. “Zimele has encountered substantial success in generating sustainable job creation and socio-economic development in communities, by simply empowering entrepreneurs to operate in the mainstream economy. For over 22 years, Zimele’s unique approach to enterprise development has realised great rewards. From 2008 to 15 December 2011, its four funds provided R567 million in funding, supported 1,085 companies, and completed 1,481 loan transactions. Furthermore, funded businesses have employed 19,575 people, and achieved a collective annual turnover of R2,4 billion.